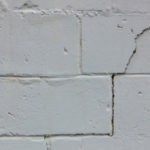 Masonry joint failure in Toronto is a leading issue facing structures of varying ages, sizes and purposes. This has a lot to do with our local weather and climate. 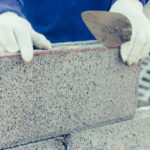 Regardless of where you live, the masonry joints are built to break down over time, which is why it is so important to keep a close eye on them and make repairs as necessary. 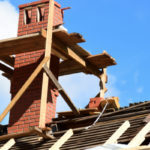 Fixing joint failure isn’t a huge deal, but not fixing it will lead to a breakdown of the entire structure over time, causing the need for a rebuild as opposed to a repair. Before we get into the most common causes of masonry joint failure in Toronto, here is a look at the different types of joint failure. Spalling: This term defines little pieces of masonry that become dislodged from the unit and eventually begin to fall onto the surrounding ground. Efflorescence: A build of salts causes efflorescence and minerals in water that leach out of a wall causing the common white stained appearance. Crumbling: This is when the actual face of the unit begins to deteriorate due to unfixed mortar joint issues that have weakened the surrounding bricks. Biological Growth: If tree roots or other greenery get a chance to grow inside of or on bricks the roots and/or vines will expand into pores and cause brick and mortar joints to crack. Erosion: This happens slowly over time as different factors cause wear and tear at a pretty constant rate, such as human traffic, water flow, etc. This issue often relates to poor drainage systems. Water migration: If a joint becomes overworked by excess water it will eventually become impermeable. Environmental pollution: If acidic rainwater is common it will cause dissolving of important minerals in units, this makes the binder in the joint vulnerable to water damage. Depending on the type of damage you have the exact cause may differ, but most damages piggyback off of one another. Always take the time to look over your masonry structures to detect early signs of damage. The leading cause of masonry joint failure is water in all of its many interchangeable forms. Canada’s climate is very diverse and includes rain, snow and ice at different times of the year. All of this water leads to the need for joint repairs over time. It is the repetition of hot and cold cycles that weigh heaviest on masonry structures. When water enters masonry joints it will begin to expand into ice and contract back into water as the temperature fluctuates. 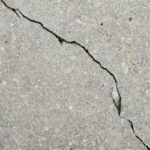 This constant cycle of expansion and contraction causes the joints to give out over time, developing larger cracks that let in more damaging elements. The mortar bed is supposed to break down, and when it does it’s not that big of a deal because it’s relatively affordable to repair. You’d much rather have the joints break down than the actual brick or stone, and by keeping your joints in good shape you do prevent damage to these more costly materials. 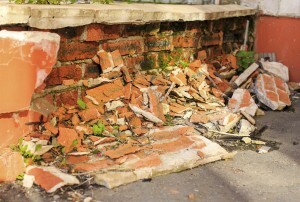 A well-constructed masonry unit is going to last much longer before needing masonry joints and other elements repaired. Mortar isn’t made to last forever but some mortar is made to withstand far more freeze and thaw cycles than others. With Canada’s cold winters, all mortar should be mixed with 8-15% air. The air should be purposely entrained in order for the joints to accommodate freezing moisture without causing damage to mortar. If there are cracks, slants or other instabilities in your house’s foundation you may start to notice masonry joints are showing signs of disruption. If vines or other plants have a chance to grow into your masonry structure you are asking for issues. These vines will break through the joints and slowly begin destroying them. If the Earth shifts rapidly, such as in the instance of an earthquake, it’s not uncommon for a structure to encounter issues including joint failure and beyond. If any natural disaster including earthquakes, floods, etc. has impacted your home it’s important to have it checked out to make sure no repairs are necessary. Masonry joint failure is a common issue but it doesn’t have to be a debilitating issue, at least not when you hire the experts at Turnbull Masonry to tackle the job! Contact us today to learn more about our efficient, affordable solutions for repairing masonry joint failure.